Collecting fares through "smart cards" is becoming standard in most advanced public transport networks of major cities around the world. Travellers value their convenience and operators the reduced money handling fees. Electronic tickets also make it easier to integrate fare systems, to create complex time and space differentiated fare systems, and to provide incentives to specific target groups. A less-utilised benefit is the data collected through smart cards. Records, even if anonymous, provide for a much better understanding of passengers' travel behaviour as current literature shows. This information can also be used for better service planning. 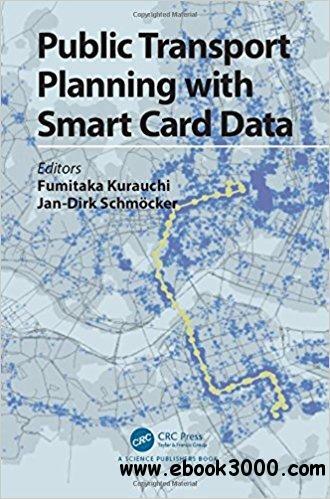 Public Transport Planning with Smart Card Data handles three major topics: how passenger behaviour can be estimated using smart card data, how smart card data can be combined with other trip databases, and how the public transport service level can be better evaluated if smart card data is available. The book discusses theory as well as applications from cities around the world and will be of interest to researchers and practitioners alike who are interested in the state-of-the-art as well as future perspectives that smart card data will bring.